Night Train to Lisbon is an emotionally charged story about a man’s quest for self discovery in the dying days of the Portuguese dictatorship. Featuring an all-star cast including Academy Award® winner, Jeremy Irons, this spellbinding drama will be available to own on DVD from 19th January 2015. To celebrate, we have three DVDs to give away! When a beautiful Portuguese woman is saved from ending her life, Latin Professor Raimund Gregorius (Jeremy Irons) discovers a mesmerising book in the pocket of her abandoned coat. Recognising the opportunity to leave his dull life behind, Gregorius embarks on a soul-searching adventure to find the mysterious woman. The film is based on the novel by best-selling author Pascal Mercier. Set against a backdrop of an oppressive fascist dictatorship, Gregorius pieces together an incredible story of revolution, loyalty, betrayal, love and jealousy. In a liberating journey of self-discovery, he learns how life can change in an instant. To be in with a chance of winning, just answer the question below. Good luck! 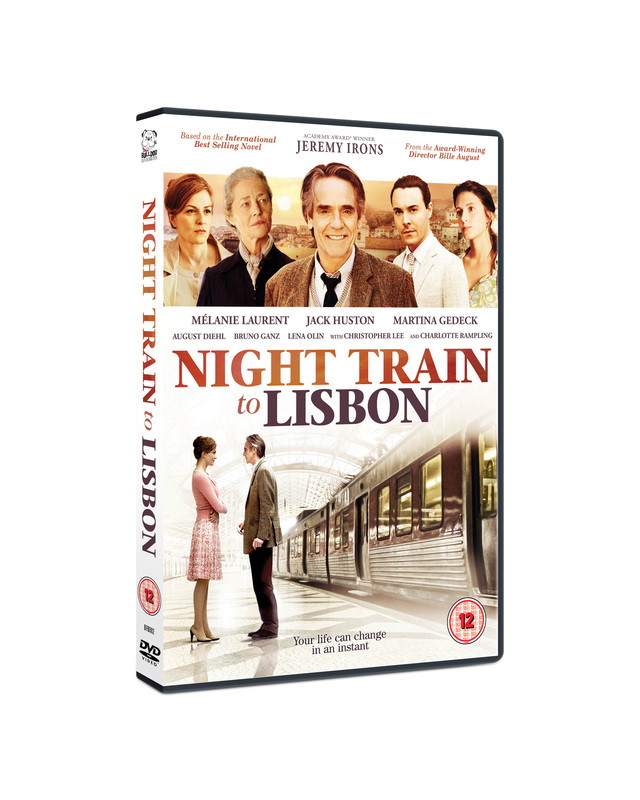 NIGHT TRAIN TO LISBON will be available on DVD on 19 JANUARY 2015. This entry was posted in Promotions and tagged DVD, film, Jeremy Irons, Night Train to Lisbon by admin. Bookmark the permalink.